The Pragmatic Play company was founded in 2007 and is based in Malta. The firm provides slot games for mobile and desktop users, with the list of more than 150 games in which players enjoy without download or registration. Likewise, the company offers games in different languages, so that players across the globe can have an easier understanding of their interface and settings. Such user-friendly slot is Black Diamond, a non-progressive five-reel machine that falls under the „Real Money Slots“ category. In this game, gamesters can obtain the free spin round, bonus symbols, and Wild cards. All of this can provide decent payments depending on the icon value; hence there is no reason for you not to try and play free Black Diamond casino slot machine. The theoretical return in this game is 95.85%. In the Black Diamond slots, gamblers can adjust the betting level in different ways which suit their budget. This pokie is designed for players who plan to play it for fun, and also for these who expect to gain higher rewards for real cash instead of coins. The machine consists of 25 paylines, three rows, and five reels. For the best winning odds, increase the stake to higher values or even to the maximum. Lines: 25 paylines that cannot be changed. Coins Per Line: The range of coins per line goes from 1 up to 10. Coin Value: The minimum coin value is 0.01, and the maximum is 0.50. In the Black Diamond online slot machine, players can earn winning combinations with eight conventional symbols: the silver ring, the green ruby, the green sapphire, the yellow diamond, the yellow ruby, the purple ruby, the blue, and the red one, plus the three additional bonus symbols. Wild: The black diamond sign is a Wild card in this game. It substitutes for all symbols, except Scatter, and the bonus card. Scatter: It is represented as the red jewel – an apple. With this card, players start the free spin round. To activate this regime, the red gem needs to land on the columns 1 and 5, and you will receive 10FS. Bonus Symbol: To enable this mode, bettors you need to land the gold icon on the columns two, three, and four. The reward is random, and is going from 40 up to 600 coins. 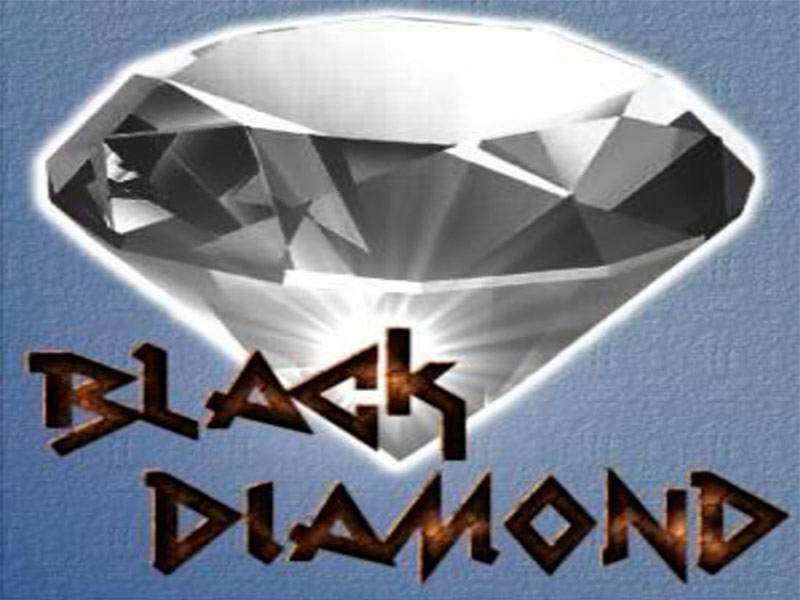 The online Black Diamond slot game does not secure a progressive jackpot. Nonetheless, as mentioned, the free spin round, bonus signs, Wilds, and playing on the maximum betting level can provide similar gains as if you were playing real money Progressive Slots with a progressive jackpot. There is also the option for AutoPlay; UK and players from other countries can leave the machine to spin for the particular number of times (from 10 up to 1000 times). If you would like to try out other slots of similar themes, look for no download Diamonds and Super Diamond Deluxe machines in our casino search bar! 0 responses to "Black Diamond Slot"